A couple weeks ago, Noelle wrote about how to keep your parent communication organized. In middle school, this is especially important when you are teaching 150+ students. 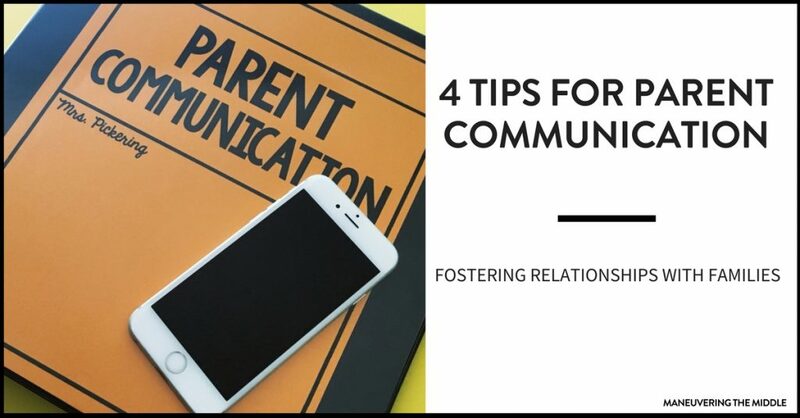 With the new school year beginning, and a whole new set of students AND parents, I am going to share some insight on effective parent communication. I just wrapped up my first two weeks of school with no major behavioral problems! Celebrate! With that said, l have been able to identify the students that might need future support behaviorally. I do not want my first contact with parents to occur when something bad has happened or after a consequence has been issued. Therefore, I contact those students’ parents first to express how glad I am that their child is in my class. It is my goal that my first parent contact is positive. My goal is to contact 2-3 parents per week. I simply work through my rosters alphabetically. I identify what students’ parents I will call at the beginning of the week then I am able to watch those specific students for a week making notes of great things that they did. There is a difference between telling a parents that their child is doing great and that their child made a 90 on their fraction-decimal-percent quiz. I teach a predominantly Spanish speaking population. Most of the parents speak Spanish only which can make communication challenging. My first few years of teaching, I didn’t communicate with parents at all due to this fact. Finding a translator was difficult, so I only made calls when someone was in trouble. It finally occurred to me that the students can help translate the positive phone calls. I would use my small Spanish vocabulary to introduce myself and then have the student tell their parents what amazing thing that they accomplished. This is a win because it takes finding a translator off my plate and students get to feel pride in communicating their accomplishments with their parents. Similar to calling about behavior, grades can also be a tension point for teachers and parents. As a parent, it is understandably frustrating to have the first contact be that it is too late, the grading period is over, or that nothing can be done to remedy the situation. As a teacher, you know that you have been hounding little Johnny to turn in his work, attend tutoring, retake the test, etc. Mark your calendar about two weeks before the end of the grading period and take the time to get in touch with parents. Let them know of their child’s situation, any upcoming deadlines, and how they can support their child. 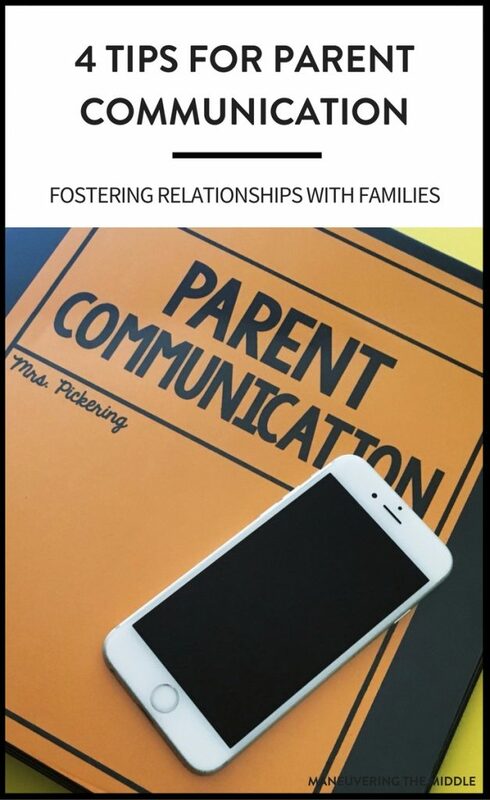 Effective parent communication is helpful to parents, teachers, and students. If it feels overwhelming, start small and remember that any communication is better than none at all. Lastly, remember that parents with kids in middle school are keeping up with 6+ teachers. Give some grace if parents don’t call you back right away (or at all). What are ways that you effectively communicate with parents?